Published last month by Simon & Schuster, Laura McBride’s debut novel, We Are Called to Rise at its core, is a story about hope and innocence, and trying to preserve hope when innocence is lost. Told in four alternating narratives, we are introduced to a different side of Las Vegas, one that humanizes it and shows you that, in most ways, it is just like everywhere else. Bashkim is an eight year old boy whose parents immigrated to the US from Albania and own an ice cream truck as a means to providing for the family. Bashkim has a younger sister, Tiriana. They are very poor, often are behind in their bills and sometimes cannot afford to eat. Bashkim’s parents are very old world and there are cultural differences which they cannot understand – although, it could be more a refusal to accept rather than a complete incomprehension. This causes problems for the family from time-to-time, and is the key component to what is essentially the disembodiment of the family. Luis is an Iraqi war veteran, who’s at a hospital in Washington DC while he recovers both physically and mentally from injuries sustained overseas, and from events that haunt him. Through Bashkim’s school, Luis and Bashkim become pen pals, sending letters back-and-forth. Though neither of them is completely truthful with each other, the letters somehow are able to help both of them in the end. Roberta is a social worker that really gets into her job, the kind that is affected by the kids that she cannot save, and she cannot save them all. When Bashkim’s life falls apart, she is assigned his case and goes above and beyond, doing everything in her power to bring a little bit of peace to Bashkim and what’s left of his family. Avis is the mother of Iraqi war veteran, Nate, who is a new member of the Las Vegas Police force. Amidst her crumbling marriage and, subsequently, her life, she sees changes in her son from his last deployment, ones that could become a hindrance given his new place of work. She fears for what her son will do, but is she strong enough to take action towards getting him the help he needs, or will someone fall victim to his mental instability? 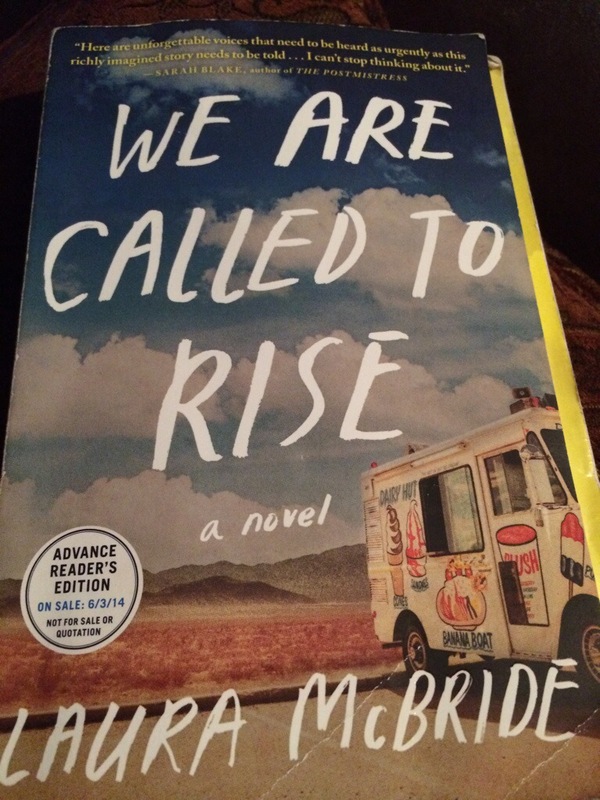 We Are Called to Rise, is a brilliant novel about misunderstandings and second chances, and how quickly one’s life can be turned upside-down and forever changed. Simply put: it is amazing, and it has the power to stay with you long after you have finished it. Haha! I’m so glad you liked it Laura. There were quite a few passages that I wanted to quote, but ultimately I chose that one because I felt like it really encompassed the novel as a whole.